Ganden to Samye valley trekking is one of the most popular treks in Tibet. This amazing trek offers the ancient culture and history of Ganden monastery, Samye monastery and Yarlung valley. This is the one of the most demanding trekking in Tibet that covers 80km from Ganden monastery to one of the oldest and historically rich monastery Samye, crossing the steep and dramatic high passes including Shugar la (5255m) and Chitul La pass (5220m), within the alpine valleys lone nomads families are dwelling in their black tents and tending their herds on the plain, beautiful and natural turquoise lakes on the Chitul la pass is source of streams following down within the alpine valley, the rugged surrounding is home for herds of wild goats, the scrub forest and fragrant junipers lovely down in the valley basin, especially, during the month of May and June, the valley is beautiful with blossoms of Rhododendrons. The trail continue to the Yarlung valley and end the trekking at Samye monastery where you could do an easy day excursion within the ancient Tibetan capital Yarlung, also known as valley of the tombs which is a good source of information about the Tibetan people and its ancient culture and traditions. 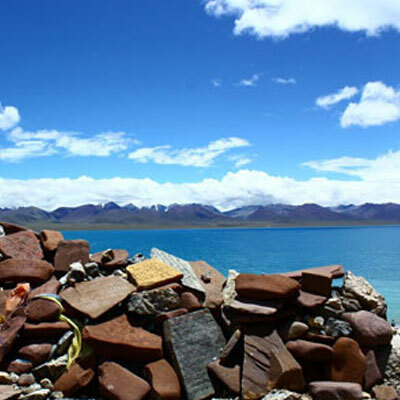 Alpine Eco Trek offers Ganden Samye trek with Lhasa sightseeing. We have expert guide and experienced crew for this trekking. The trekking part of trip will be spent in tented camp and the best time to trek from Ganden to Samye monastery is from April to November. 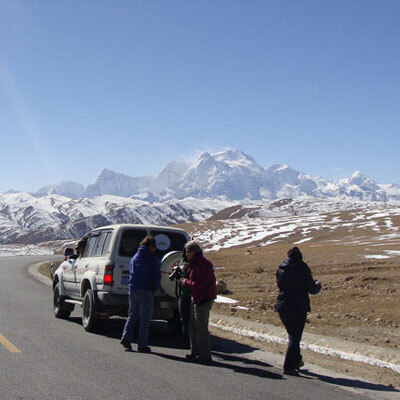 Day 01: Arrive at Lhasa airport or train station, transfer to hotel. Day 02: Guided tour in Lhasa. Day 03: Guided tour in Lhasa. Day 04: Drive from Lhasa to Ganden monastery. Day 05: Trek from Ganden to Yama Do. Day 11: Final transfer to Gonkkor airport or train station for further journey. Trip Cost: Please contact us and let us know the number of people in your group and the category of hotels and guest houses that you would like to stay with while in the cities. Once we hear from you, we'll send you a quote within 24 hours as per your requirements. 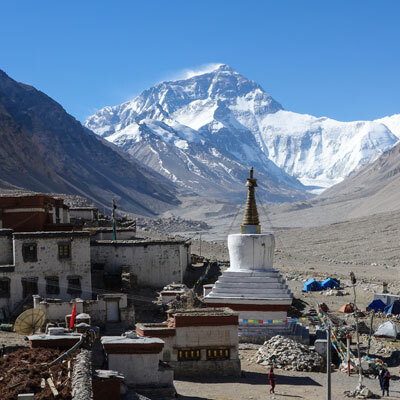 Note: This tour can be started with a scenic flight from Kathmandu to Lhasa. If you wish start from Kathmandu, you will need to arrive in KTM at least 2 days before the trip departure. We need your passport copy at least 25 days before the trip departure. Arrive at Lhasa airport or train station, meet our guide, reception and transfer to hotel in Lhasa. Rest of the day will be relaxing and acclimatizing on your own. Overnight at hotel. After breakfast at hotel, your guide will come to see you around 8AM and start today’s sightseeing tour of Norbulingkha Palace, Jokhang temple and Sera Monastery. At first, you will visit the beautiful Sera monastery; the pictures you will see here are of these buildings with their white washed walls and golden roofs. At the moment, several thousands of monks dwell and study in this architecture. And, in the afternoon you will visit the Jokhang Temple and Norbulinkkha Palace. Overnight at hotel. After breakfast, you will drive to Potala palace to visit the ancient quarters of the Dalai Lama. Potala palace will certainly be amazement as this grand palace has been regarded to exist before the 17th century. 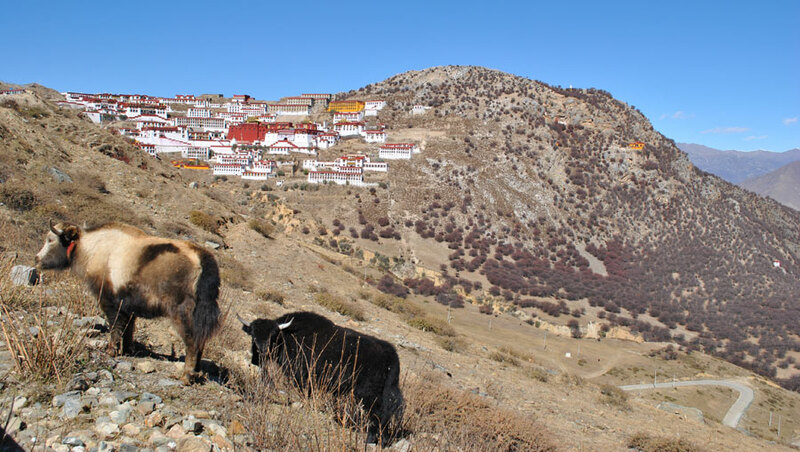 In the afternoon, you will visit Drepung Monastery which was once home to over 10,000 Tibetan monks. 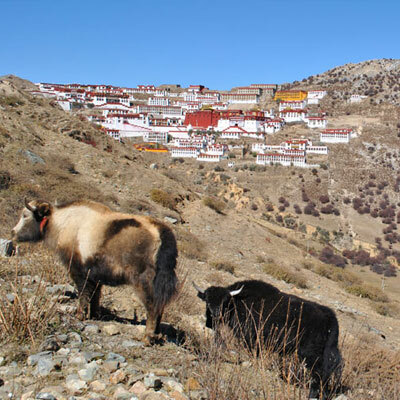 The Drepung Monastery is still a wonderful sight to see and remarkably it was one of the few sights to escape the Cultural Revolution without widespread damage. Overnight at hotel in Lhasa. After breakfast at hotel, we will have a short drive to reach Ganden monastery. The day will be fully acclimatizing and exploring the surroundings. Further, there are many interesting things to see in this ancient town and the most beautiful highlight is the first Gelugpa Monastery. Although this monastery has been destroyed over the years, there is still much to see. Many pilgrims wish to walk the kora around this holy place and you can enjoy the rituals along the way. Overnight at guest house in Ganden. Day 05: Trek from Ganden to Yama Do (5 hours). After breakfast at guest house, the first day’s trek starts with the highest point on the Ganden Kora. From this point, we will pace towards a saddle trail with mesmerizing views after which we traverse the west side of the ridge before passing through the alpine Hepu village. Later in the day move through Ani Pagong, a narrow bottleneck in the trail and former site of a nunnery. We will finish today’s trek up to Yama Do, where our staff will make camp to stay the first night in a tent. After breakfast, we leave the camp and lead our trail through a steep gully rising from the stream bank. Finally, we will ascend up the Shug La and start to descend through treacherous boulder fields. Later in the afternoon, we will cross Tsotup Chu, a large stream winding through the valley floor. Finally, we will set up our camp in herder fields. Overnight under tent. After breakfast, we leave Tsotup Chu valley and move through the Tsotup Chu down along its tributary and pace towards the Chitu La pass. After ascending this amazing rocky pass, we will quickly walk down to reach an appropriate place to camp in the fields surrounding the stream. Overnight under tent. After breakfast, we start an easy day; today’s trail gets easier as we walk through clean and pleasant forests in the main valley. Splashing streams and lush green forests keep entertain us as we walk. However, the desert is nearby. The next two to three hours walk is perhaps the most beautiful and mesmerizing part of our trek. A lot of verities of scrub trees, blossoming rhododendrons, and cosmic meadow will speculate us every step of the way! After passing through this stunning countryside we will trek pass the Changtang village. Towards evening, we will encounter the Samye valley along the splashing tributary stream and close to Samye; today is the last night of our trek under a tent. After breakfast, we will enjoy the wide-ranging and pleasant sceneries from Pisha from where the entire Samye valley can be glanced at once. After getting the summit of Dragmar we will visit the numerous temples nearby. However, the Cultural riot worsened the temples. We will then get ready for a splendid site as we meet up with the jeep road and get even nearer to Samye valley. Samye Gompa (monastery), representing the Buddhist world, is the main target of the trip for most of the trekkers/visitors. We will have sufficient of time to explore this mushrooming number of buildings. 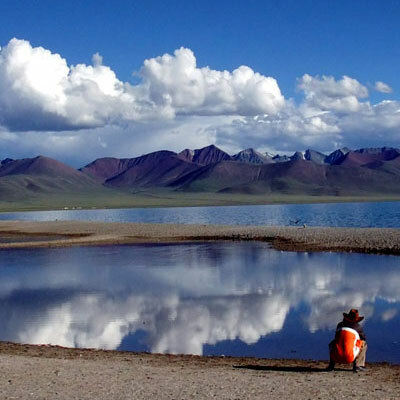 In the evening, we will take a short drive and spend the night in Tibet’s 3rd biggest city; Tsedang. Overnight at a warm hotel with a hot shower. After breakfast, we will start exploring Yarlung valley; the beautiful and regal area is extensively regarded to be the cradle of all of Tibetan civilization. The valley of the tombs is positioned at the origin of the Tibetan people. We will get a chance to discover this incredible site where both the massive burial grounds and Yumbulakhang can be observed. Yumbulakhang is a breathtaking architectural site hovering on a cliff and is one of the oldest buildings in all of Tibetan history. In the evening, we will drive back to Tsedang to spend the warm and cozy night at a hotel. Day 11: Drive to Airport or train station for your onward journey. After breakfast, our guide will drop you off to airport or train station. Fare well your friends. We hope that this trip will certainly make you feel the awe-inspiring life changing journey in the land of religion and history! 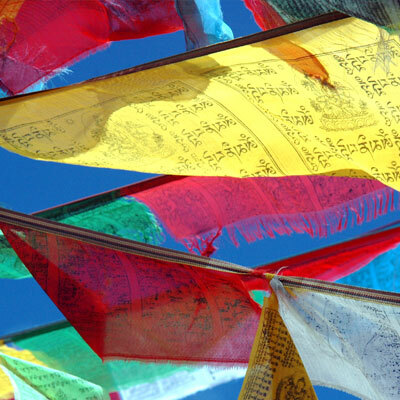 Tibet Travel Permit with Ganden Samye Trek permits. Our website contains as much information as possible about Ganden to Samye valley trek. However, if you have any questions regarding trip, please feel free to contact us. We answer all enquiries within 24 hours. If you want to book a trip, you can send us an email or contact us directly by phone: 0977 98510 36844 (Ram Kumar Adhikari).